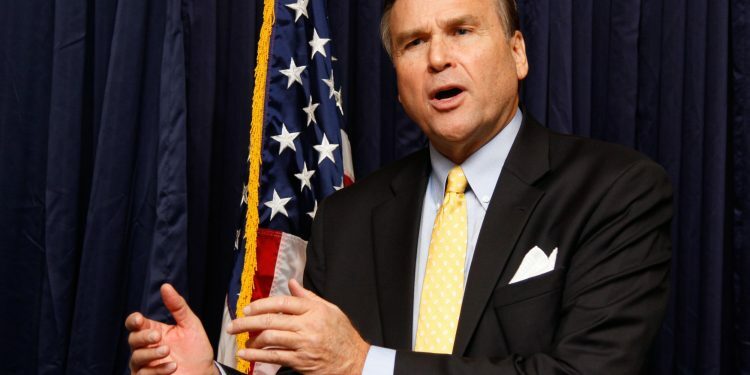 United States ambassador to Nigeria, W. Stuart Symington has said Nigerian youths have a role to play in the transformation of the country and therefore should be equipped for leadership positions. The envoy spoke during the seminar on â€œYouths and Transformational Leadership in Nigeriaâ€ organized by the Hubert H. Humphrey Fellowship Alumni Association in Lagos. He also emphasised the need of equitably growing the Nigerian economy for impactful development. He stressed the importance of transformational leadership and why it matters for the youths, pointing out that the Nigerian youth would contribute to leadership capacity. The guest speaker at the event, Tunji Olaopa, professor of public administration Leeds City University, Ibadan, identified self-knowledge as key to the process of becoming a leader. According to him, leaders know who they are, their strengths and weaknesses. He said the youths need to change the funding strategy of elections by using their skilled resources just the way former United States President Barack Obama did to gain recognition that change the political status quo of the American government. Olaopa said the youths know what they want, why they want it, and how to communicate what they want to others, in order to gain their cooperation and support. He advised youths to empower themselves. They should take advantage of the not too young to run bill and work towards taking up leadership positions, he said. He frowned at the older generation of political leaders whom he said have traded the value of integrity. The youths need to appeal to higher ideals and values, what they can do to change human conditions, he added. In her remarks, the President of the Hubert H. Humphrey Fellowship Alumni Association, Mojisola Onifade said that Nigeria needs to pay attention to empowering youths in various communities. She said Nigeria needs a structure where young people can be equipped to become transformational leaders who possess vision that can effect a positive change.